WARSAW — The Warsaw Community Public Library had an eventful January, with several weather-related closings as well as the beginning of a new “fine-free” era. 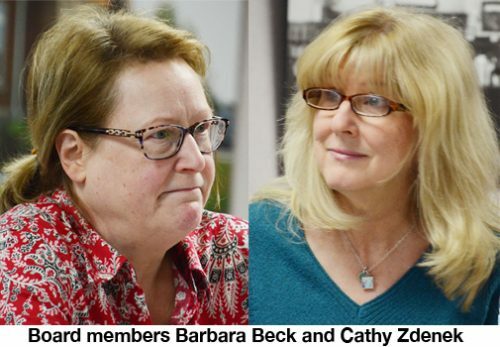 “We did go fine-free on Jan. 2 and there have been no problems reported,” said Library Director Ann Zydek during the monthly meeting of the library’s board of trustees on Monday, Feb. 11. According to Zydek, the library waived $1,800 worth of fines on the first day. 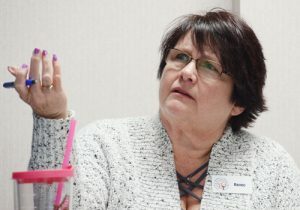 “There have been comments in the community about how excited people are about the lack of fines,” said Jill Beehler, board member. The introduction of the library’s new fine-free program created some interesting situations. “That first day, we did have an older couple come in and they had some fines and the ladies at the desk told them we just went fine-free,” said Assistant Director Joni Brookins. “She said they were still going to pay their fines.” According to Brookins, the library staff assured the couple that their fines would be forgiven. “And the husband said ‘we’re paying the fines,’” Brookins said. Administrative Assistant Robin Fosnaugh told the board that for some, waiting for the fine-free policy was an exercise in extreme patience. “I did hear we had 10 videos from 2010 returned since they didn’t have to pay fines,” said Fosnaugh. While the library closed in January for both New Year’s Day and Martin Luther King, Jr. Day, on Jan. 21, the facility also experienced closings due to weather during the month. On Jan. 22, the library closed early at 5 p.m. and opened late at 11 a.m. on Jan. 23, closing again on that day at 4 p.m. On Jan. 28, the library closed early at 1 p.m., citing winter weather and deteriorating roadways. The extreme cold attributed to the polar vortex closed the library from Jan. 29-31.